Fun urban socials in Tampa Bay, themed scavenger hunts, fully guided bar tours. Kick off this year's Cinco De Mayo Weekend with an awesome fiesta on Saturday! The fun starts at Franklin Manor from 3pm to 4:30! At 4:30pm, you will salsa dance onto our famous Crawler Party Buses to hit Bar Stop #2. At 6pm, hop back on board for Bar Stop #3. At 7:30pm, we move on to our final destination where we’ll all be drinking margaritas and we’ll be partying like it’s already Cinco de Mayo! Includes free welcome shot at each bar, free bus transport, drink specials, bar games, our famous Beer Shotgun, other surprises, raffle tickets and lots of fun - guaranteed! BUT WAIT - THERE'S MORE! 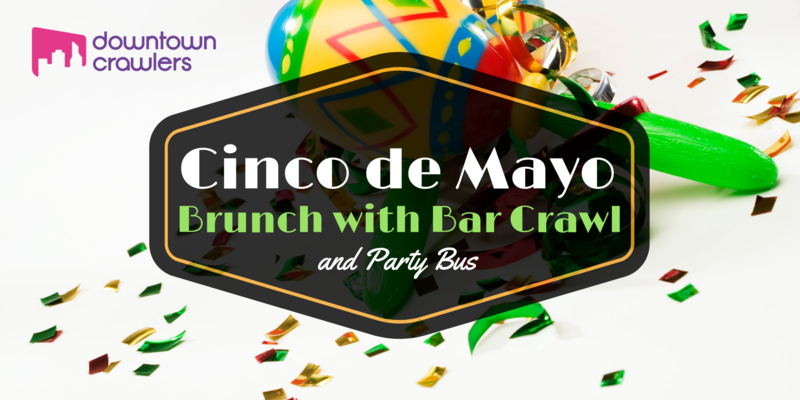 At 2pm, you will board our famous Crawler Party Buses to hit Bar Stop #2 - District Tavern. At 3:30pm, hop back on board for Bar Stop #3 - Mole Y Abuela. At 5pm, we move on to our final destination, Franklin Manor, where you can drink plenty of margaritas and party the afternoon away. Each Crawler will be treated to one free Welcome Shot at each bar as well as exclusive food and drink specials, fun bar games, our famous Shot Gun Beer Challenge and other surprises! Stay tuned for more event info to follow shortly! ASK FOR A CUSTOM EVENT OR BECOME AN OFFICIAL VENUE. Let us organize your next corporate event in Tampa or beyond. We have organized team building events, bachelor and bachelorette parties, holiday parties, beer/wine tasting and coffee sampling events across Tampa Bay. We have exclusive partner deals with over 75 Tampa Bay venues to organize just what the doctor ordered. For fun things to do in Tampa Bay, let the Downtown Crawlers take care of business. Alternatively, if you’re a Tampa Bay hospitality business and want to become an official Crawler venue, fill out the form and we will get in touch with you asap. Becoming an official venue will give your business added exposure. Show off what you have to offer by applying for official venue status today! NEVER MISS ANOTHER EVENT! Sign up and stay cool! We are Tampa Bay’s premier experiential events team, organizing fun Urban Socials, fully guided Bar Tours with party buses and themed Scavenger Hunts for kids and adults. Our guided events give participants a chance to sample local hotspots in one fun-filled afternoon, all while making new friends and discovering new places on board our legendary party buses. All of our multi-venue events feature one free welcome shot at each bar, as well as exclusive food/drink specials and fun bar games with a twist, from beer pong races to giant flip cup. To top it off, every participant will be entered into our Monday Facebook Live Raffle for a chance to win drink vouchers and tickets to local attractions. Successful events are all about building community, coming together and making new friends. These are the core values that build the foundation of our company’s mission. The original idea was to enrich Tampa’s up-and-coming downtown area with unique events that emphasize the “play” aspect of living in the city. Since our first event in 2016, we have rapidly expanded across Tampa Bay with events in St.Petersburg, Orlando and Miami, with requests to bring our unique style to more cities around the US. Come and raise the bar with us! 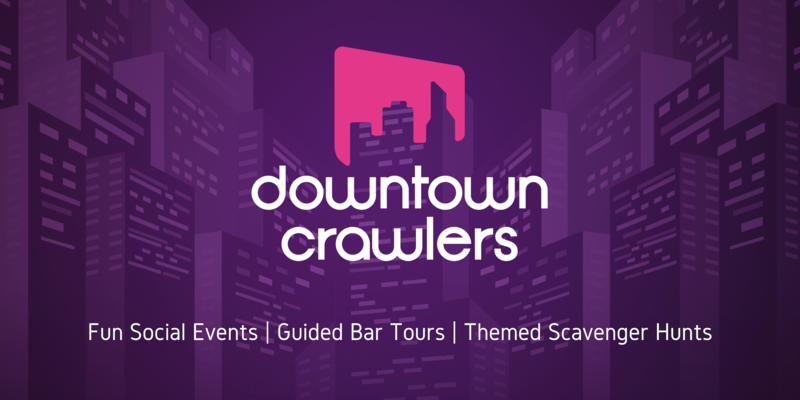 Join the Crawler Nation or let us organize your next event. Tomorrow is the big day!!! Get dressed up like these #1 fans and come out and support the Lightning! Get your tickets for tomorrow’s Tampa Bay Lightning Playoffs Bar Crawl and Party! Your ticket includes: • Free cover at each participating bar. • A free welcome shot or @budlight at each bar. • Free transportation on our Party Busses. • Appearances from the @tblightninggirls and @thunderbugtbl • Free donuts from @littledonuthouse For the first 50 people. • Chances to win tons of swag and signed Lightning gear. • Free bar game tournaments. • Lightning themed food and drink specials at each bar. • Tons of fun and surprises throughout the day! Get your tickets now with the link in our bio! Copyright 2019 Downtown Crawlers. All rights reserved.